4th December 2016. 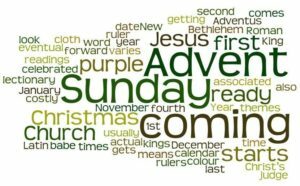 Advent Series. Jesus: The Alpha and Omega. Revelation 21:1-8. 11th December 2016. Jesus is Emmanuel. Isaiah 7:14. 18th December 2016. Jesus is the King of Kings.